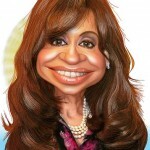 If you criticize the Kirchner government, you are a traitor. If you give away land to Barrick Gold you are a nationalist and populist? In the video below, Luis Beder Herrera is seen talking against Barrick Gold and mega-mining projects while campaigning for Governor of La Rioja. He says that mega-mining projects are only possible because companies like Barrick Gold go to Argentina with a suitcase full of dollars and gives away $50,000 here, $20,000 there. When elected, Herrera promotes the mining industry saying “La Rioja is a mining province, has been a mining province, and will continue to be one”. 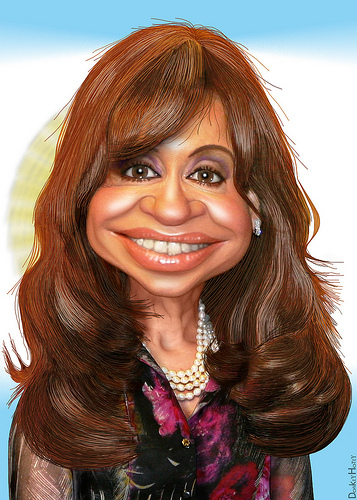 The Kirchner government and 678, its propaganda arm supported by tax dollars, has the same shameless double speech.